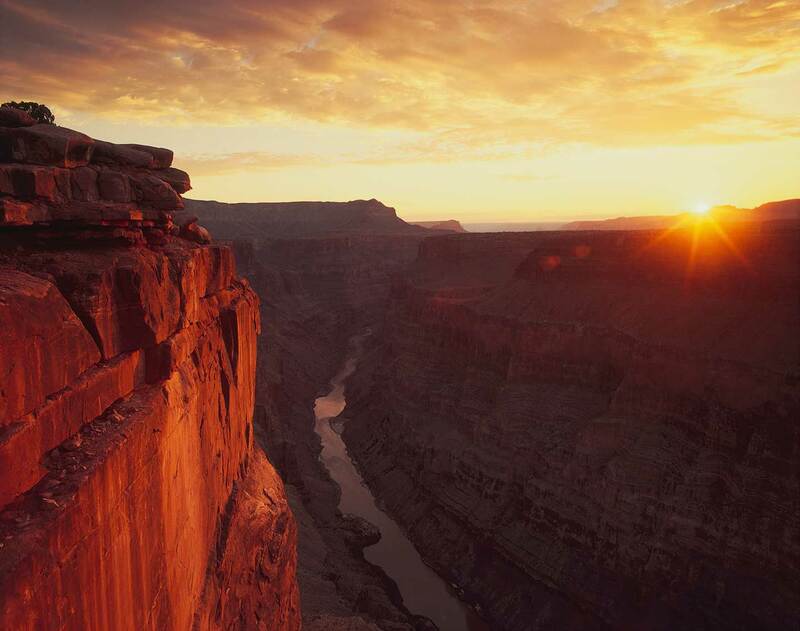 From historic Route 66 to one of America’s great natural wonders, you get an up-close look at the region’s iconic sights on a Private Day Tour of the Grand Canyon South Rim from Las Vegas. After departing Las Vegas, guests will travel through the Mojave Desert and over the Colorado River on their way to the South Rim of the Grand Canyon. The Mojave Desert is characterized by its signature plant, the Joshua Tree, and plays host to arguably to hottest place on Earth. To beat the heat, we will be traveling over the mighty Colorado River on the Mike O’Callaghan–Pat Tillman Memorial Bridge and pass by Route 66, the “Main Street of America”. Before arriving to the Widest and Deepest part of the Grand Canyon National Park, the tour will stop in Historic Williams Arizona. With the Grand Canyon Railway and the intersection of Route 66, this small town is a reminder of the American west from the 1950s. During your three hours in the Grand Canyon National Park, you will have opportunities to walk along the rim, shop, capture an unlimited number of photographs, or enjoy your lunch and relax with the best seat in the house. Your guide will ensure you get the best views from Mather Point and Yavapai Point. 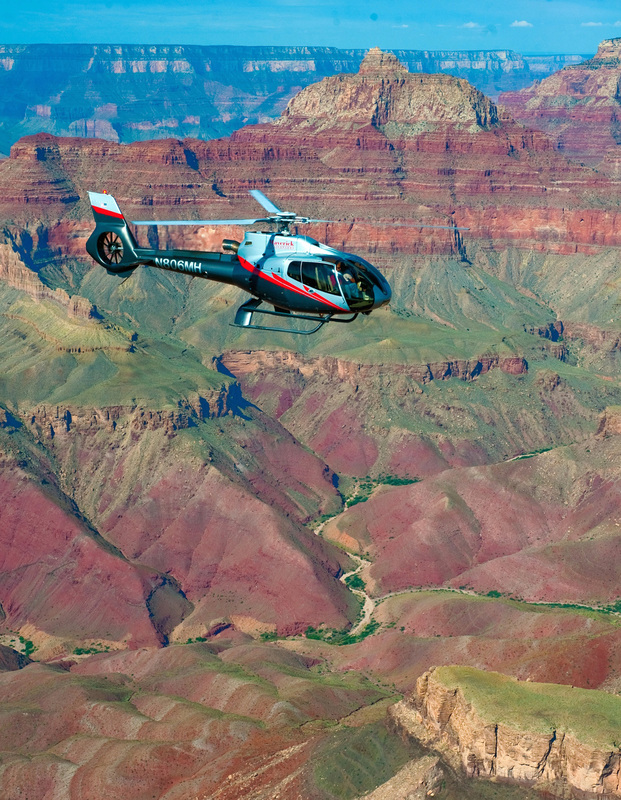 Enjoy a 45-minute helicopter tour of the widest and deepest portion of the Grand Canyon. This 80-mile flight showcases canyons, fault lines and towering rock formations that are otherwise missed by many guests! Those views include Marble Canyon, Pointe Imperial, Little Colorado River, the Dragon Corridor, and of course the North Rim. While on the Helicopter Tour, you will be treated to views only seen by less than 10% of all visitors to the Grand Canyon National Park.